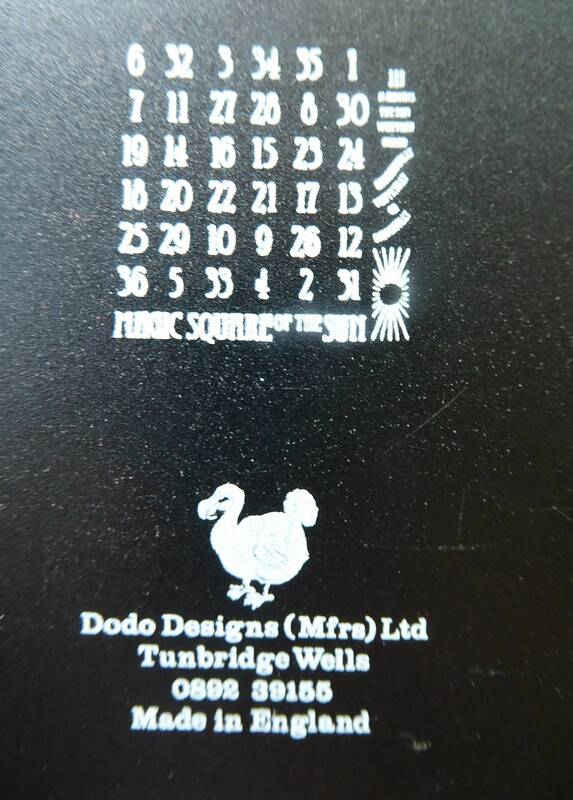 Items made by the British company Dodo Designs are now very collectable. 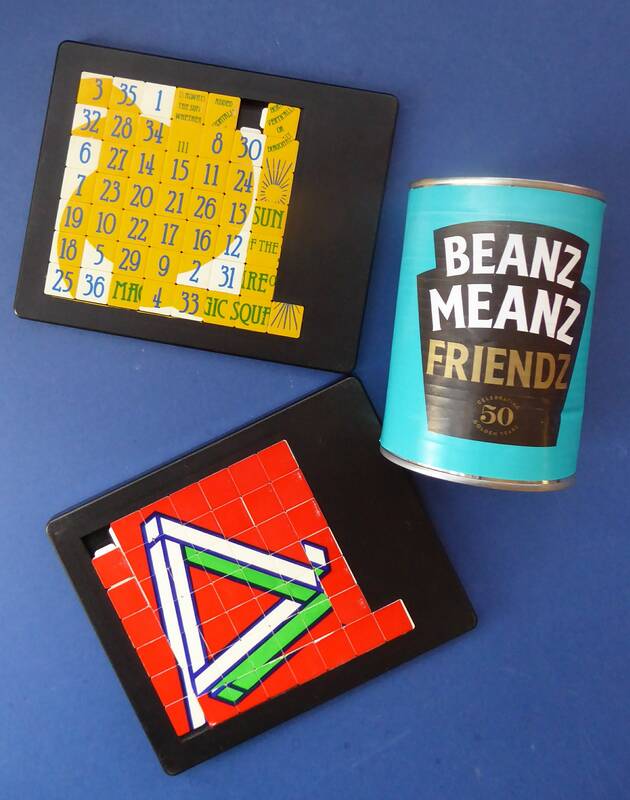 I have four of these vintage games which they retailed back in the 1970s in my Etsy shop. 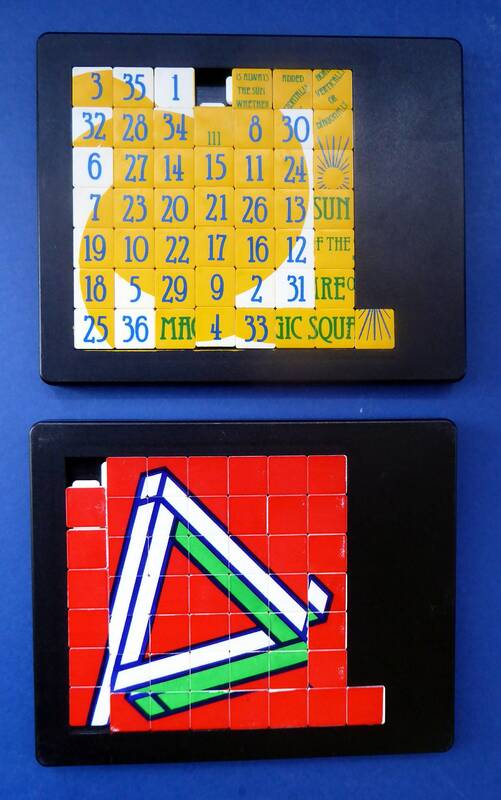 This is the first two - the puzzles are precursors to Rubix cube type games - but instead of being three dimensional - this vintage puzzles are two dimensions and done on "the flat". 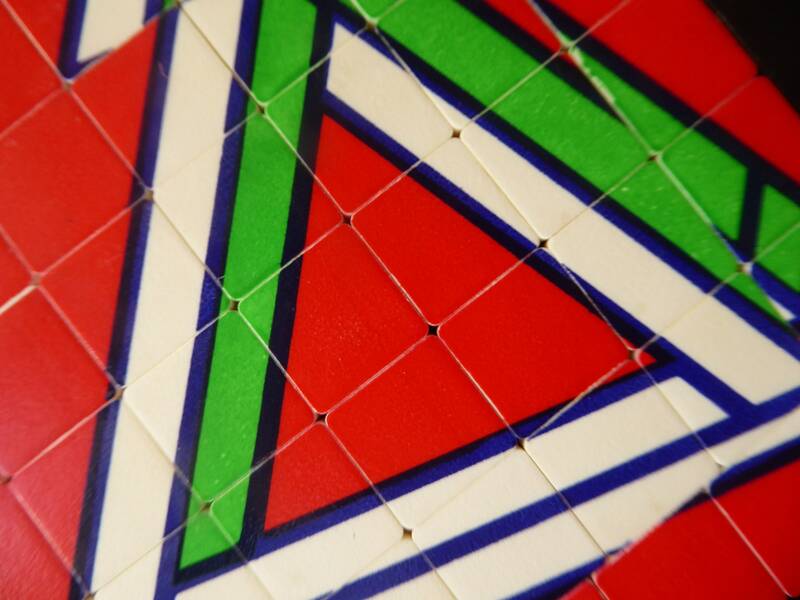 You move the tiles around on the board to get them into a pattern or order. 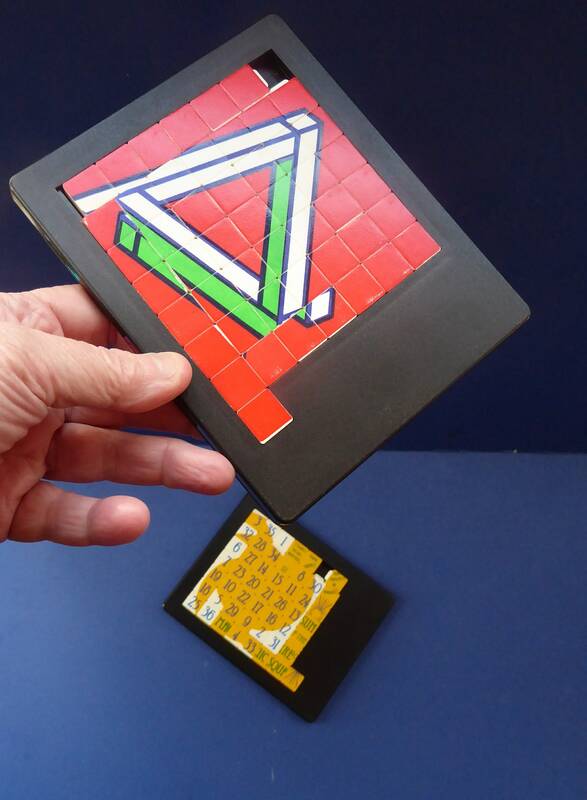 The first one is the black coloured plastic palette with a series of numbers and sections of words on them - as you can see I am a bit of a duffer at these type of logic games and have failed to complete it. 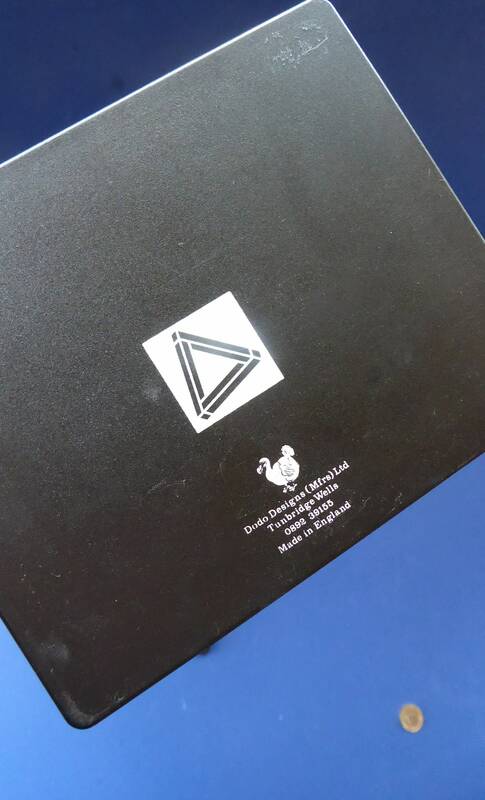 The pattern of the completed game is shown on the back for you to follow. 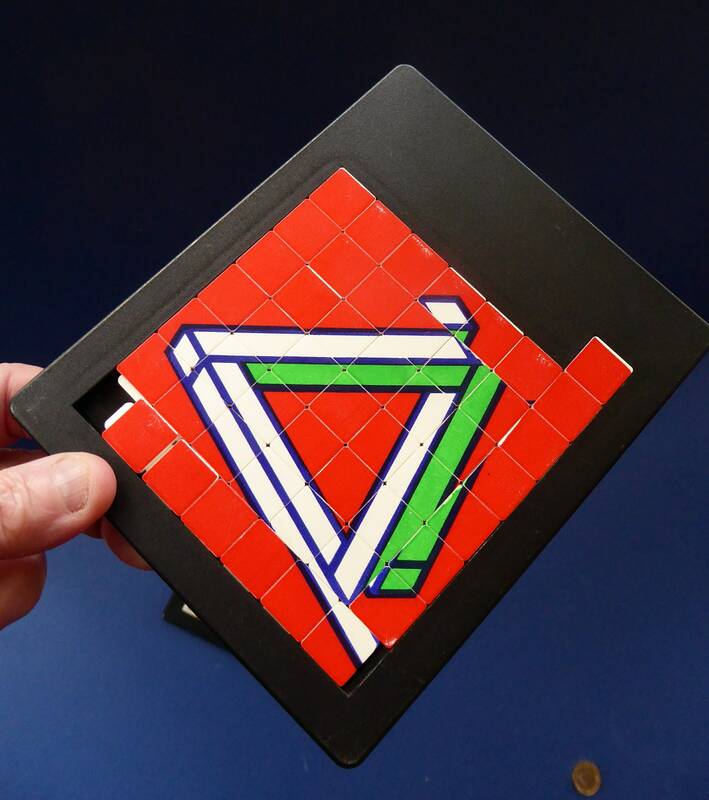 The other one is slightly more complex and is a puzzle with a triangle on a red background - got someone to finish this one for me - but of a cheat! 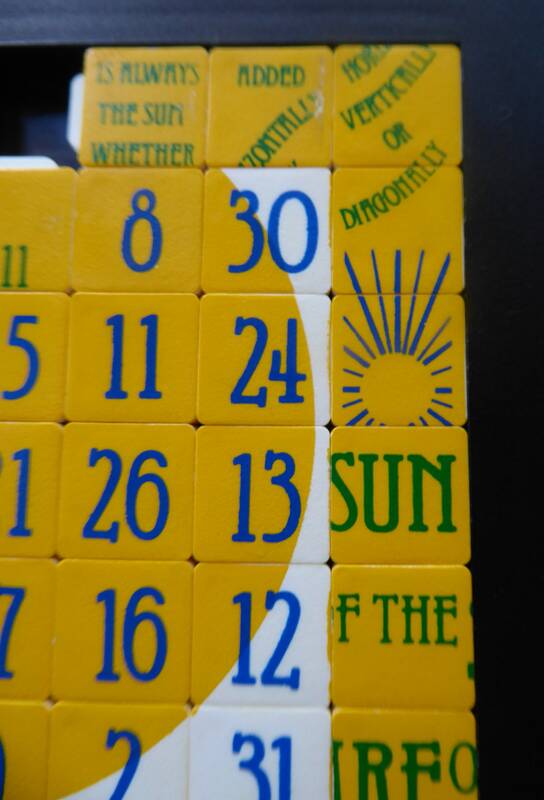 But again the same procedure of sliding the tiles about. 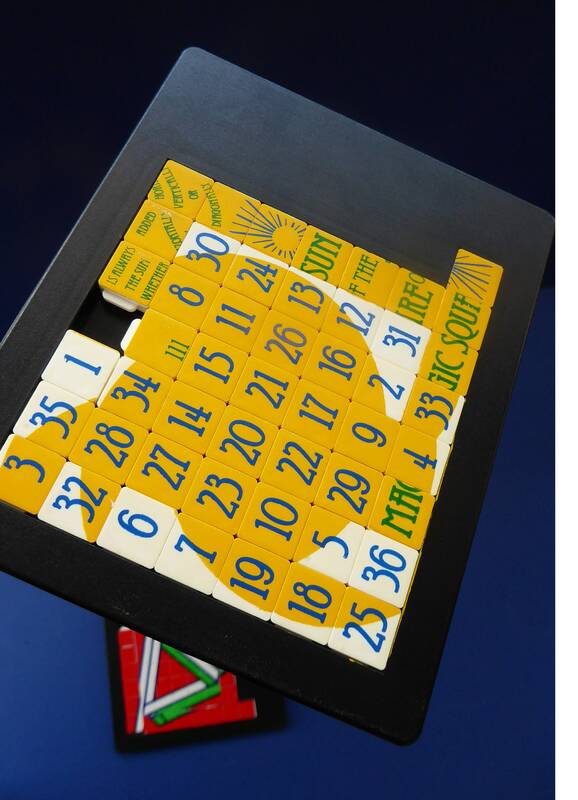 Each game is a nice larger size measuring 15 x 12.3 cm. 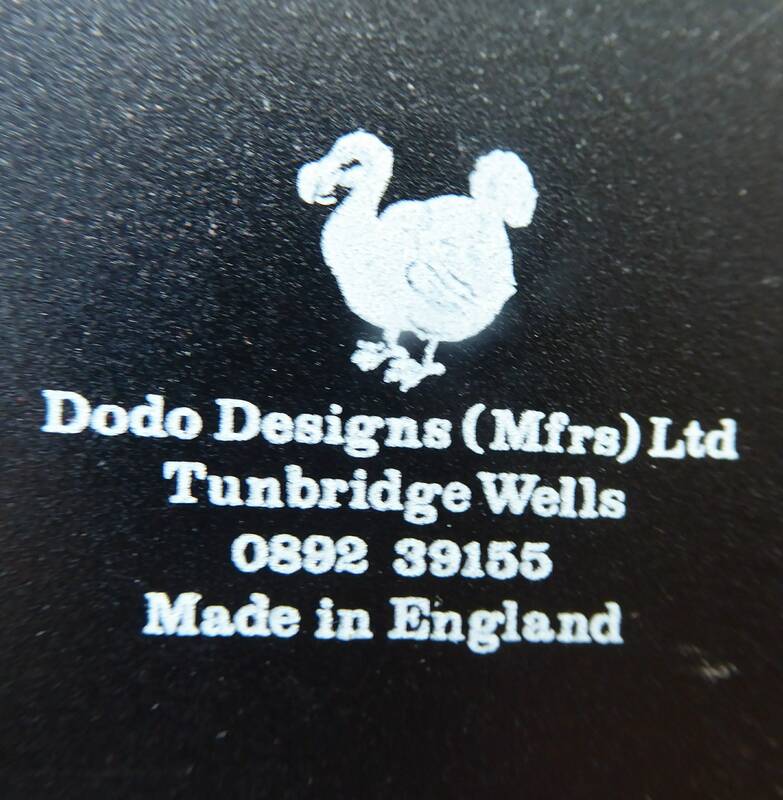 They are in excellent condition and absolutely clean and fresh - they are hard to find - and as mentioned Dodo Design items are now very much considered special items of late 20th Century British design.